I grew up in Sweden where I acquired my first connections to nature through play in local parks and forests, and frequent trips to lakes for swimming, and forests for berry and mushroom picking. The so called allemansrätten, or common access prerogative, that allows Swedes and visitors to roam nature relatively uninhibited regardless of private ownership shaped my life and conception of the environment. I was also affected and touched by Swedish social democratic traditions that emphasize social welfare, full employment, and more recently, a green economy. I lived these policies, and I learnt to appreciate them. But I also saw their underbelly: an unqualified support for economic growth, labour legislation that restricted workers' rights, social safety nets with holes, widening social divisions, and environmental degradation. I still maintain close connections to my country of birth through family and colleagues. Much of my outlook on life is influenced by my upbringing and formative years in Sweden in the 1960s and early 1970s and frequent visits since then. I have also written and compiled material on Sweden over the years. The focus of that research revolves around the prospects of the “incremental reformism” that constitutes the central core of social democracy. Social democracy is historically and rhetorically all about social justice, and in its most recent incarnations it has a green vision. Comparatively, the record of social democracy is impressive. Sweden is one of the most “equal” societies in the world (income disparities are relatively low) and environmental performance often trumps other nations. Sweden has, for example, managed to meet and even surpass its carbon emissions reduction targets set by the Kyoto Agreement. Yet, Sweden remains a fundamentally capitalist country where consumerism reigns supreme and social and (now) ethnic divisions and environmental degradation remain systemic problems. 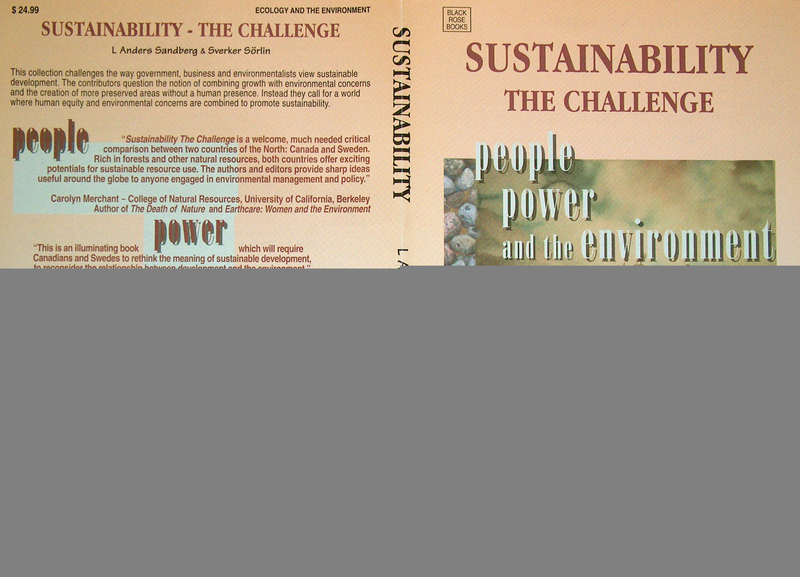 My most substantial work on “sustainability issues” in Sweden is a co-edited book with Sverker Sörlin entitled Sustainability, The Challenge: People, Power and the Environment (1998). I also use Sweden as a point of reference in comparative work. 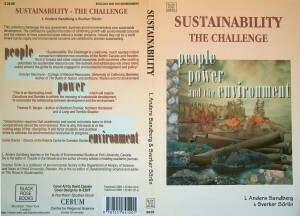 In November 2009, I presented a paper titled “Looking Back, Going Forward: Swedish Lessons of Sustainability” at the Scandinavian Section at the University of California at Los Angeles. I was also a regular participant at the Summer School at the University of Lund, Helsingborg Campus from 2004 to 2010 which featured topics ranging from journalism, sustainability and education. I recently published a study on environmental gentrification at a reclaimed limestone quarry in Malmö, Sweden. Sandberg, L. Anders, “The forest landscape in Maritime Canadian and Swedish literature: a comparative analysis.” In P. Simpson-Housley and G. Norcliffe (eds. ), A Few Acres of Snow: Literary and Artistic Images of Canada (Toronto: Dundurn Press, 1992), 109-121. Sandberg, L. Anders et al., “A little bit of Sweden: The Volvo story in Nova Scotia,” New Maritimes, Vol. VII, No. 5, Mary/June 1989, 14-23. Honorable Mention, Goodwin's Award for Excellence in Alternative Journalism. Sandberg, L. Anders, “Literature as social history: A Swedish novelist in Manitoba,” Prairie Forum, Vol. 13, No. 1 (Spring 1988), 83-98. Sandberg, L. Anders, “Swedish forestry legislation in Nova Scotia: The rise and fall of the Forest Improvement Act, 1965-1986.” In D. Day (ed. ), Geographic Perspectives on the Maritime Provinces (Halifax: Department of Geography, Saint Mary's University, 1988), 179-196.